Wabash College’s Music Department invites you to a concert given by Wamidan World Music Ensemble as they present their fall concert at 7:30 p.m., Wednesday, November 14, in Salter Concert Hall in the Fine Arts Center. 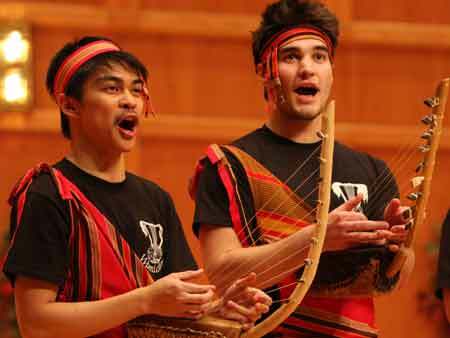 Now in their 12th season, Wamidan’s theme for this concert program will be, “Exploring Other Cultures.” The concert will cover pieces from different music and dance cultures including, Argentina, Congo Democratic Republic, Indonesia, Uganda, and the United States of America. Joining Wamidan will be the Wamidan’s Children Ensemble under the direction of Sr. Stella Sabina. Participating will be Rebecca Allen, Hannah Crosby, Luke Crosby, Marley Dillon, Elizabeth Dodd, Henry Hartnett, Maesa Horton, Whitman Horton, Carrie Novak, James Novak, Kate Novak, and Tracy Nakigozi. The Wamidan Ensemble is under the direction of Associate Professor of Music, James Makubuya. The members include, Kalp Juthani, Methuselah Gee, Quintin Watson, Joseph Rangel, Shangqing Li, Stella Sabina, Maria Laura Lovisa, Elena Mezger, Yu-Hui Chang, Henry Giesel, Han Nie, Michael Seltzer, and Debbie Harvey. Wamidan is the Wabash College World Music Performance ensemble and focuses on the music and dance from various global folk music traditions. The group offers hands-on practice and performance experience in song, dance and a wide variety of musical instruments from different musical traditions of world cultures.